Hi everyone, today it's Carol and I am here to show you my "Beary Special Tea", using CottageCutz Springtime Tea die. Two themes in one card that I just adore-bears and tea. What a winning combination. 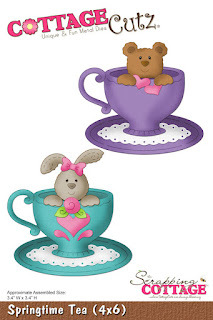 Wouldn't this be cute to send a special little girl as an invite to tea. You can buy very inexpensive chine teacups and teapots and throw a vintage tea party with just a few desserts and classic cucumber sandwiches. With very little effort you can create memories to last a lifetime! This was such a fun project. I cut my bear from white card stock and then used Ranger Vintage Photo and Tea Dye Distress Inks to color this sweet bear. I used a bit of pink chalk to color the bears cheeks and the inside of the ears. I cut my cup and saucer with designer paper and the doily with white paper and distress inked all the edges. The edges have been kissed with stardust stickles. Just click on the picture above and it will take you right to the die. As you can see I used the bow from the rabbit on the bear and also the heart and flower. That's whats so fun about these dies-no rules!!! 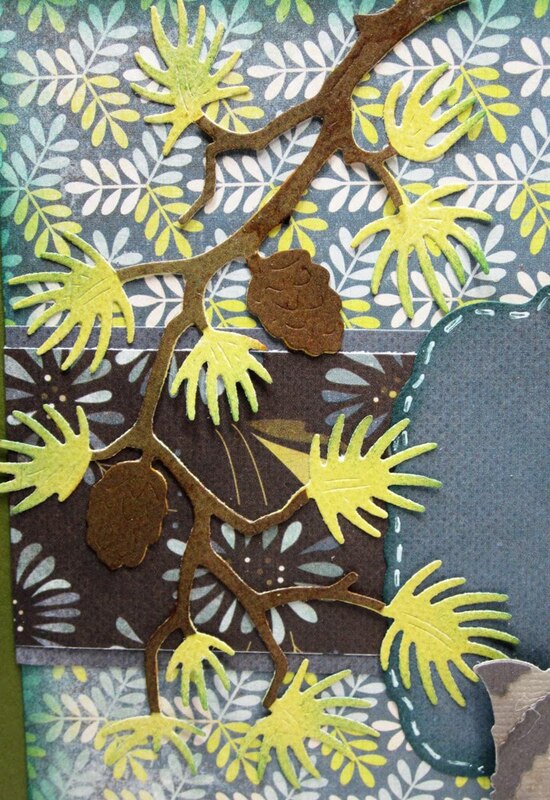 Also, I carried the heart design element on my embellishments for matching interest on the card. Thanks for taking a look at today's project. Be inspired to create wonderful memories for those special girls in your life. Until next time-have a great day! Hello friends. 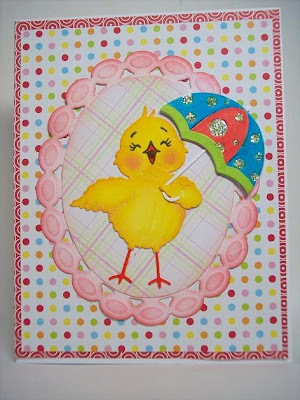 Today I am sharing a card I made using the Spring Chickadee Cottage Cutz die. I also made a video showing how I made my little Chick. I didn't realize until after I uploaded the video that Cheryl had also done one on the same die. I am a little behind in reading the other posts, so I apologize for that. We both have different styles, and I show how to use a Peachy Keen face on mine, so you will learn something different if you choose to watch it. I hope you do, and enjoy! Cottage Cutz... A little Behind! Happy Sunday to you!! Boy, does my blog title say it all today!! 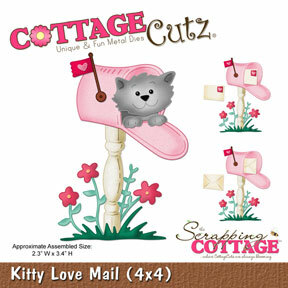 I've had a plan for this card ever since I saw the cute Bunny Front and Back Cottage Cutz dies from The Scrapping Cottage. The thought for this card immediately came into my head, and I got right to work! Well, the best laid plans often go awry (as the quote goes), and that's exactly what happened to me!! I finished my card, even saved all of the markers I'd used into a basket for photographing, and all I needed to do was computer generate the "We're A Little Behind" sentiment. THAT is as far as I got! I got busy and completely forgot to print the sentiment and post my card!! SO, I'm late today and I do so apologize for that! With ALL that being said, here is my card for you, and I hope it was worth the wait. It sure makes me laugh when I see these bunny behinds, and I hope it gives you a chuckle, too! 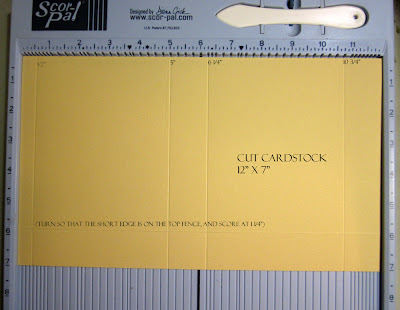 All of the card stock and paper for this card came from my scrap bin. I added some pleated satin ribbon and chocolate colored pearls for embellishment, and kept it at that, because I want these bunny behinds to shine!! They are, afterall the main attraction, and what cute little behinds they are!! This basket contains every marker that I used to color these bunnies, and yes, I DID use each and every color, AND you can add C1,C3, and C5 to that mix, because I took those out to work on something else, and they didn't make it back to the basket. So glad you could visit us today here on The Scrapping Cottage Blog. Make it a great day... EVEN if you're a little... BEHIND!!!! 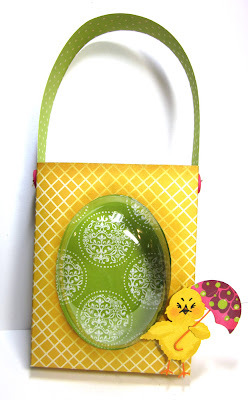 If you are need a cute treat bag to make, I've got one to share with you. When I saw the CottageCutz / Peachy Keen Shower Peepers die from The Scrapping Cottage, I knew what I wanted to make. 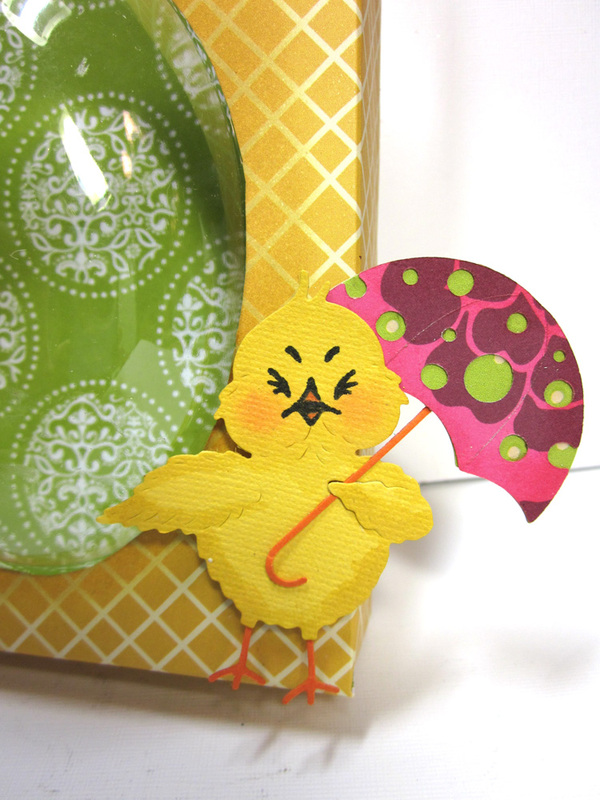 I always think that shading my die cuts with distress ink adds so much more life to them - but on this little chick, I was having a hard time getting too much ink, so I added it a little different. I used my water pen, and picked up a little Scattered Straw ink for her body, and just a touch of Worn Lipstick for her cheeks. This gave me much more control, and a very light touch of ink. The face is so cute - it's a Peachy Keen stamp that comes with the set (actually you get three different faces so your little peeper can have different expressions). 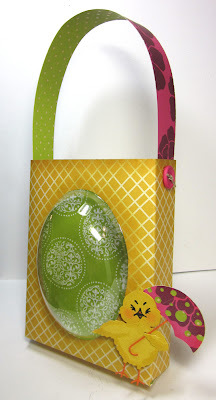 The acrylic bubble that I used on the front of the bag is a Flower-Soft Display Globe, but you could also just use a flat piece of acrylic, and cut your opening to any size and shape that you would like. 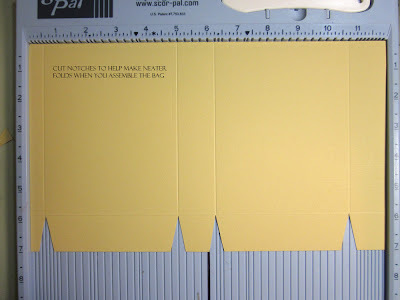 Cut another strip of paper, 1" x 12" and attach to the sides for a handle. 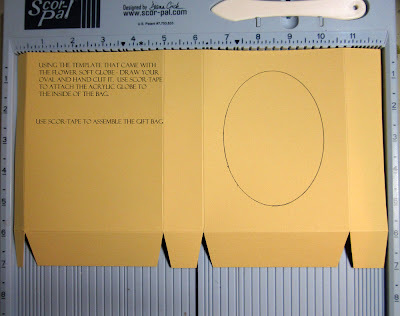 Use dimensional tape to attach your die cut. Happy Friday!!! I don't know about you but I love to look at my dies and think about them in ways other than what they were intended for. 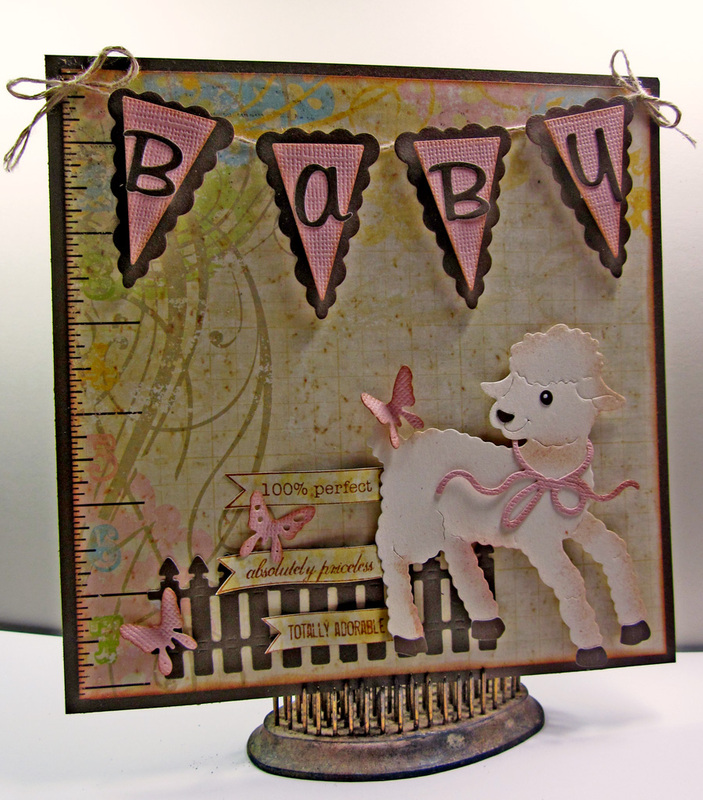 Like this adorable CottageCutz Baby lamb and friends, from our current Easter release. 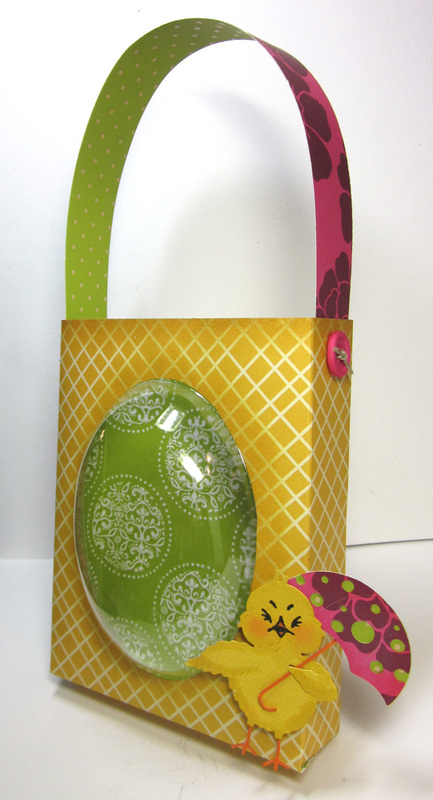 Granted it's adorable for Easter projects, but isn't he also perfect for Baby themed projects....just perfect. He was super easy to create....I just die cut him and then inked the edges with distress ink on the shadows...this really makes him looks finished and it takes just a minute to do. The only paper piecing that is needed is his bow, nose, eyes and hoofs...it took no time at all. I love using our pennant dies that coordinate. Pennants are so HOT and you see them on all types of projects...our dies make pennants easy peasy. 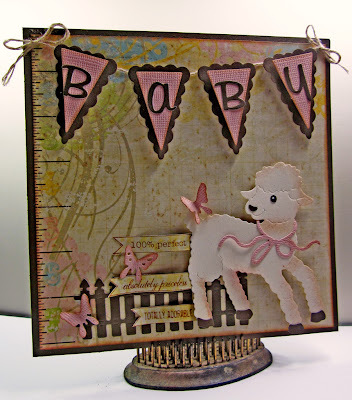 I used the plain and scalloped die to create the Baby Banner. Can't tell you how much I love these dies. 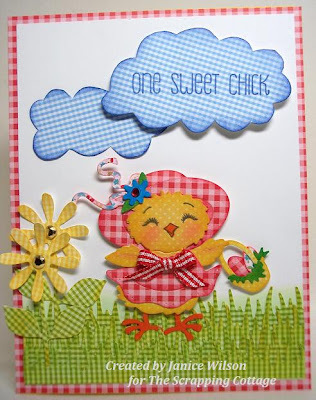 Hello everyone today I'm sharing a Sweet Cottage Cutz Spring Chick-a-dee from The Scrapping Cottage! I've also done a video showing how I colored her and with what colors. 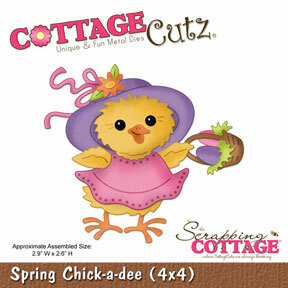 I love Cottage Cutz Spring Chick-a-dee, she is sooo cute, and super fun to color. I almost was going to use the Dusting technique i love doing on these but decided to color with copics today. Ive added some pearls to both their dresses, and to the flower by the mailbox. The LOVE is stamped from Cottage Cutz Vintage Key. Hope you enjoy my video! I did forget to show how i add the cheeks in the video since it was running out of time, but I just add them with R20 and if you want to soften them use the clear blender copic. I didnt soften them in these. I also added some white gel pen to the cheeks. 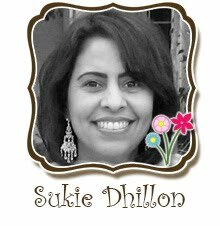 This week I am bringing to you Cottage Cutz Filigree Tulip Basket, one of several new dies from Cottage Cutz. 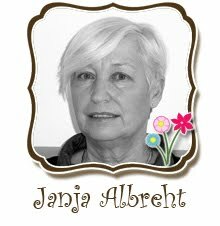 You have several options to create the basket of Tulips. Here I cut the filigree ttulips from pre-glittered card stock, as well as Bazzlell Famingo card stock. Than I cut the solid base of the basket with Bazzill Bling White. I glued the flamingo card stock directly behind the glitter card stock creating a thick raised filigree texture. I than glued the filigree basket to the solid white card stock. The card was made in the flamigo pink and white. I used foam dots to raise the basket and tulips on the card. 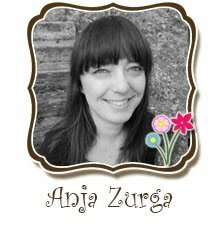 The verse SPRING was from the Cottage Cutz Bunnies in the Grass Border die. I did the same cut it twice, once in flamingo and the top is the glittered card stock. 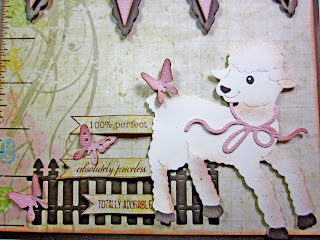 You can see I cut the additional items on the Cottage Cutz Bunny in the Grass Border Die in green to show you all the other items on the die. Carol here! 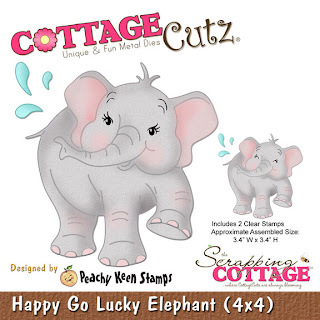 Today I want to show you my first creations as a Design Team Member of The Scrapping Cottage, using CottageCutz Happy Go Lucky Elephant. This is purely a selfish reason that I chose this sweet elephant as my first creation. Today is my son Wesley's 26th Birthday. He loves elephants-always has. So let's talk about this card a little and I will give you the deets. 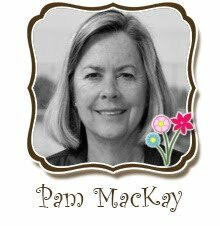 The banner was made with the Spellbinders Scalloped Banner die, I free hand cut the straight edge banners that back the pretty pearl ones up. I also used the banner die cut set for the Birthday sentiment. The letters were done with the Cuttlebug Baby Face typeset dies. 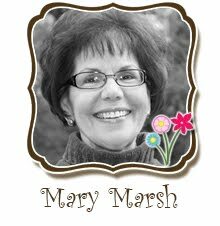 The scalloped square is Spellbinders and the punched floral border is Matha Stewart. Now about the image. In this picture you can see that I have created some dimension. I don't know about you but I love dimension in a card and look for ways to create it. It brings the whole project alive. And I bet you are wondering how I got the image to look exactly like the above picture of the die cut packaging. It was easy! Let me share that with you. I cut out the image with gray card stock. Then I carefully separated all the cut through areas the die produces when you cut with the die. To color the image I used chalk-yes chalk!!! I haven't taken my chalk out in ages. This was so fun. I ran the chalk along the edges following the die cut picture that the die came in. I used my fingers to rub the blackgray (I dipped a cotton swab in both to mix) chalk in sort of creating a smudge effect. I used pink chalk to touch upon the knees, cheeks, and ears and rubbed that with my finger too. Before you stamp the eyes on the elephant you can use aerosol hairspray to set the chalk. I cut the pink toe nails with the die and glued them on the hooves. Then I ran a little black/gray chalk over the top to tone down my pink card stock a bit. Here is a close up of the dimension created. I used a 1/8" foam dot placed behind the elephants cheeks and the eyebrows. I also placed one betweene the first two creases of his nose. I then applied the image to the die cut base and actually glued his ears to the card stock. I used 1/16" dots on the body and legs. As you can see this is the natural way the trunk lays on the image. You can also curl it a bit if you want it coming out more. So that's this project for today. I hope you check out The Scrapping Cottage for more cute images and designs for your crafting needs. This sure was fun to create! Welcome Our Newest DT Member to Our Team! 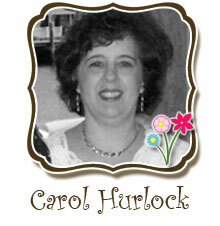 Hello everyone, I hope you will help us welcome our Newest DT member "Carol Hurlock" to The Cottage Cutz Design Team! Welcome Carol!! We are so excited to have you as part of our DT! 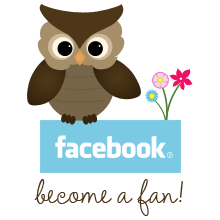 **Becoming a design team member for Scrapping Cottage is so exciting. 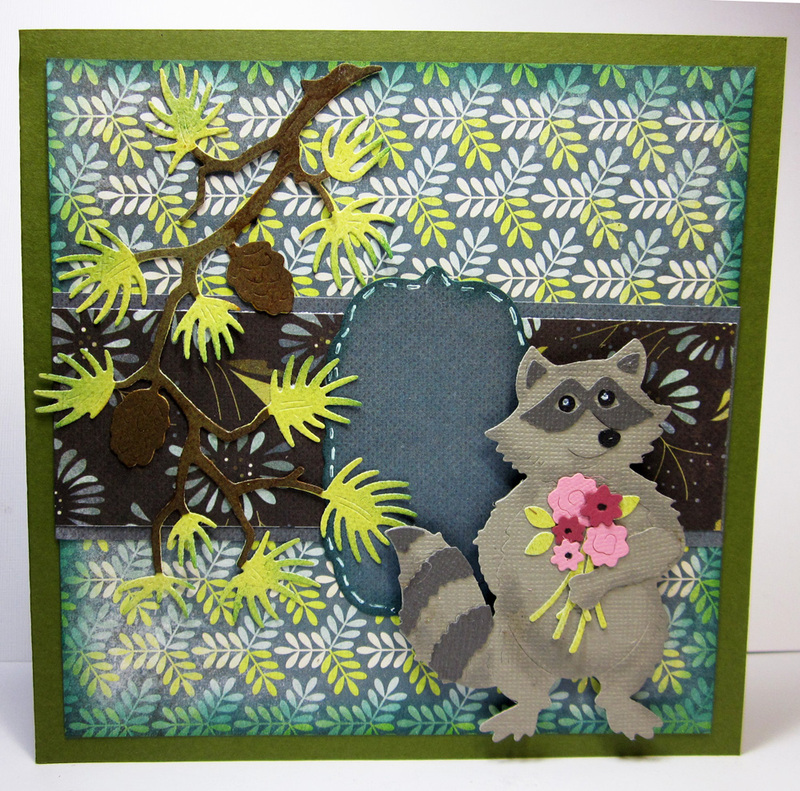 My first love in paper crafting was paper piecing and doing it the old fashioned way with tracing and fussy cutting. The Cottage Cutz dies make it so easy because putting together the pieces is what I enjoyed the most. My work is filled with punches and die cuts and it is something I enjoy doing very much. I dream in punches and die cuts and very often find myself daydreaming my next project! It will be a pleasure to bring my style and inspiration to this very talented design team. I live in a small town in Georgia which is located about 35 minutes from Jacksonville Florida. My husband and I have two boys, Wesley 25 and Ryan 19. They are both in college-Wesley working on his Masters Degree plus holding a full time job and Ryan working on his Associates Degree. I work full time for a Construction Equipment Rental Company and spend every free moment creating in my craft room. Hello friends! 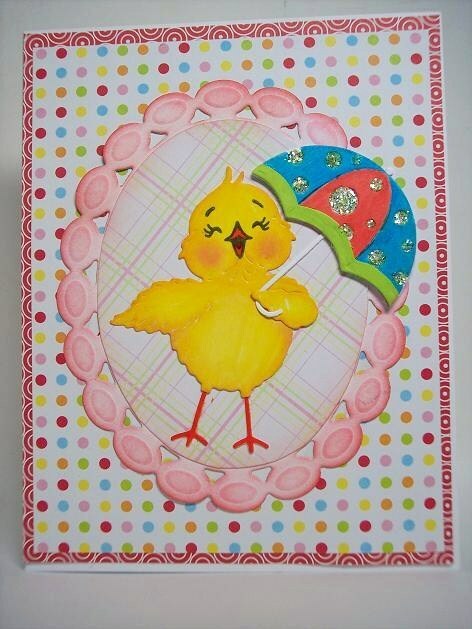 Today's card features the Shower Peepers die designed by Peachy Keen Stamps. This is a 4x6 inch die that includes 3 face stamps and accessories, an umbrella, a broom, and some flowers. I chose to use the umbrella. She looks like she is singing in the rain. I used white cardstock to cut the diecuts, and a combination of regular markers, chalk, and ink to add some shading. I used lime green Stickles on the umbrella. We have had a very mild winter this year, YAY! Happy Spring everyone! Good morning, and welcome to The Scrapping Cottage Blog. Lorie here today, so share a cute card using Cottage Cutz dies from the Spring release. For this card, I had fun creating with the Watering Can with Tulips 4x6 die, and the Bunnies in the Grass Border 4x6 die. The watering can and tulips were cut with white card stock and colored with Copic markers, and with a little spring paper, ribbon, and some pearl embellishments, this card is finished and ready for wishing someone special a happy spring. So happy you could join us today. 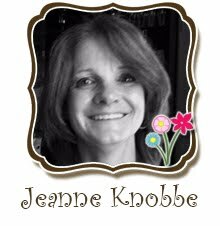 Wishing you a wonderful day and happy crafting! I hope you had a fantastic Valentine's Day! My husband and I went to our favorite Mexican restaurant and it was so yummy! 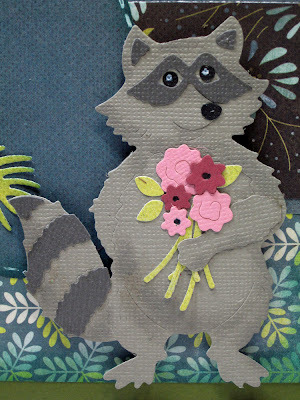 If you are still in the mood for a little romance, perhaps this adorable raccoon will do the trick. Looks like he's heading out of the forest ready for a big date! I love this pine branch, and thought it would be great to create a little scene.